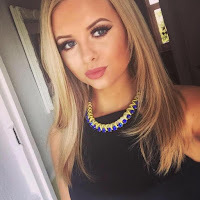 Beauty with Alisha: GELTOUCH: The perfect way to turn normal polish into GEL! 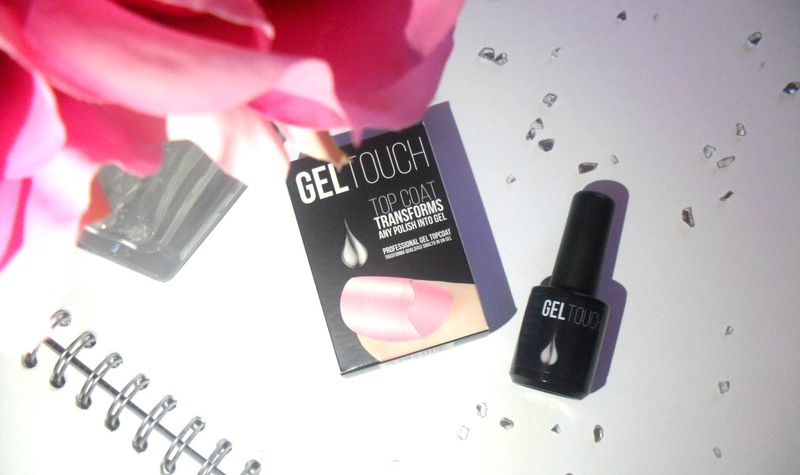 GELTOUCH: The perfect way to turn normal polish into GEL! Ever wanted nail polish that doesn't chip or smudge? Want shellac but don't have the time to go to a salon? Well... I have the perfect solution for you. 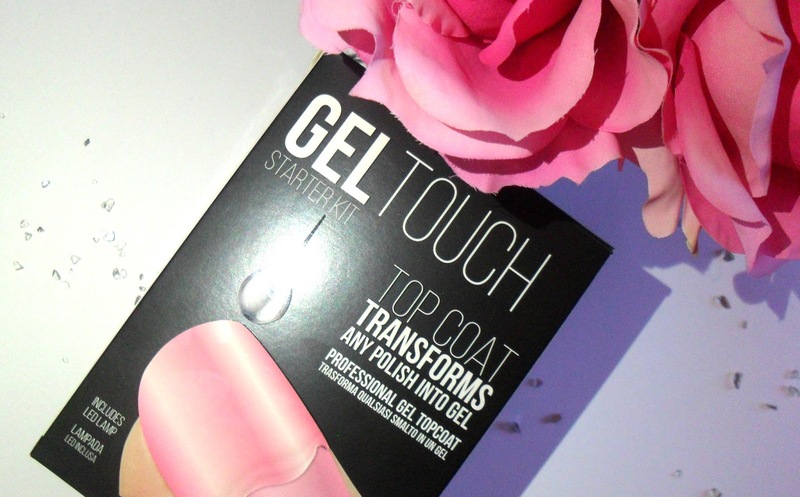 The GelTouch Top Coat transforms any normal polish into gel! This amazing starter kit comes with a Gel top coat and a small, lightweight and handy UV lamp which is great for at home and if you are travelling. This easy to use kit is amazing for people who don't have the time/money to be getting a gel treatment and want something quick and easy to ensure your nail polish will last longer than just few days. As I work in a salon, I use my hands a lot and normal polish would not last me 2 minutes so this product is an absolute life saver in my eyes! I have been using this for a few weeks now and still absolutely love it, it makes my nail polish last up to 10 days, it doesn't chip, it doesn't damage my nails, and creates dazzlingly shiny nails! Step 1: Make sure your nails are completely clean! This starter kit comes with 5 cleansing wipes, so after filing your nails into your desired shape, give each nail a swipe over with the wipe. Step 2: After choosing your desired nail polish, apply to your nails and allow to thoroughly dry. I usually leave mine for about 20 minutes! Step 3: Now it's time for magic! 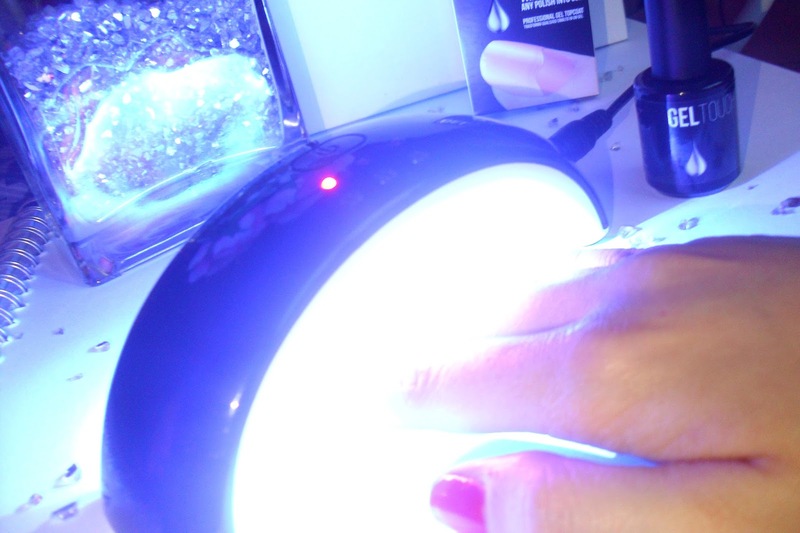 Apply the clear GelTouch top coat and cure under the LED lamp for 60 seconds. Step 4: After curing the nails, wipe over the nails again with the cleansing wipe to remove any stickiness and there you have it... Gorgeous gel nails! It's so easy to apply and to even take off... you can either peel it or soak it. Either way it does absolutely no damage to the natural nails!